Flour & Sun Bakery in Pleasantville, New York sent us this information about their upcoming cupcake decorating class - and I'm going to try to cover it for the blog. Monday, Feb. 8 from 6:30-8:30pm. 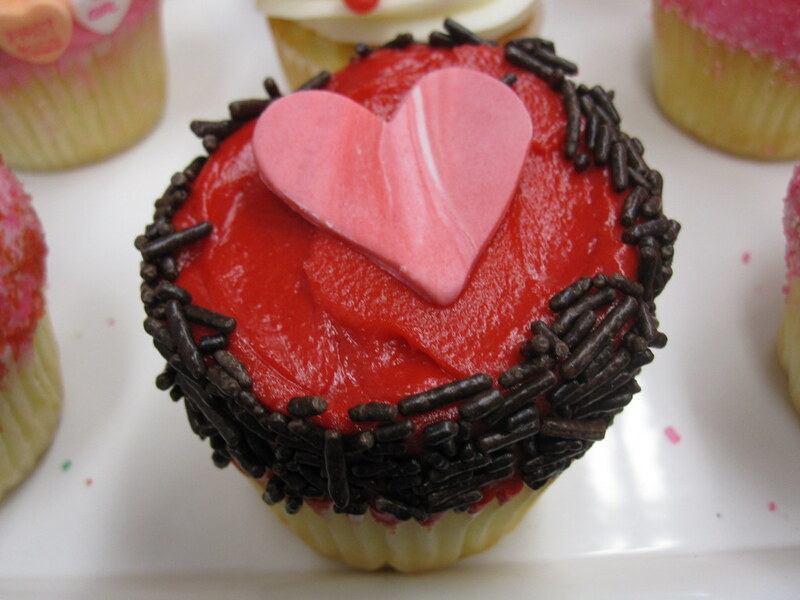 Here’s your chance to learn from a pro the basic techniques of decorating cupcakes for Valentine’s Day. Every student gets to bring home six cupcakes to show off their decorating talent to family and friends. All decorating materials and tools will be provided, just come for some decorating fun. Kim Ambrose, a graduate of Johnson & Wales University, Baking and Pastry Arts and part-time baker and decorator at Flour & Sun, will be teaching the class. The class costs $65, but when you register with a friend you both save $5. Registrations are being accepted over the phone at 914.495.3232 or at the bakery. 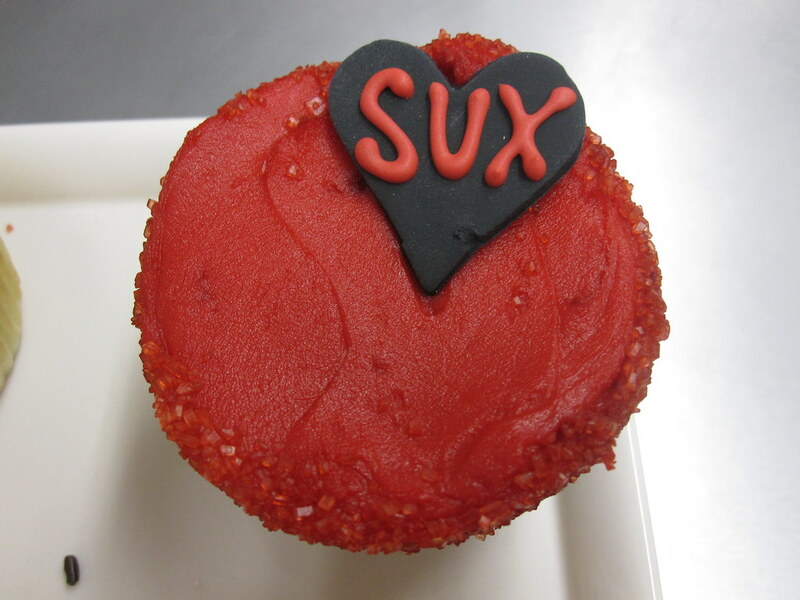 This class is a follow up to the sold out Valentine’s Day Cookie Decorating class offered in January. Flour & Sun Bakery specializes in made-from-scratch cupcakes using the finest ingredients, baked daily on the premises. Over 50 cupcake varieties are included on the Bakery’s ever-growing menu. 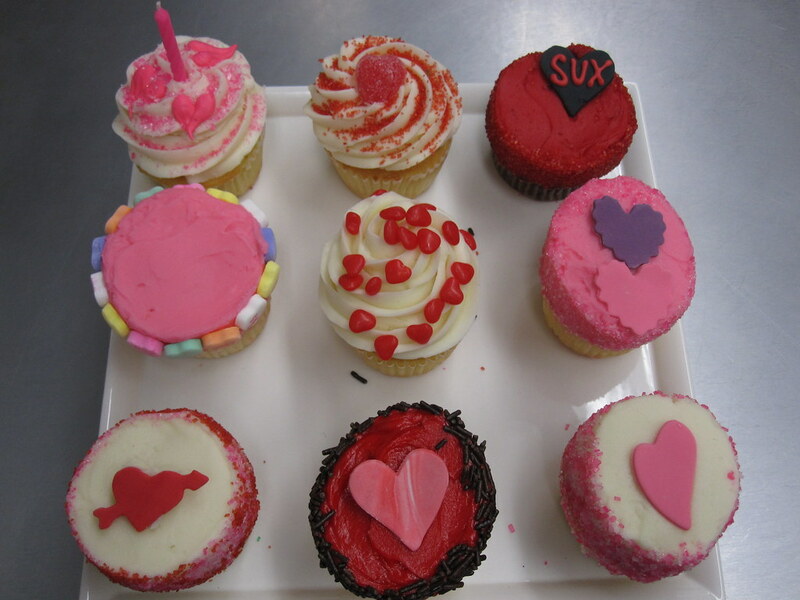 All photos from Flour & Sun Bakery's Valentine's Day photo set on Flickr. 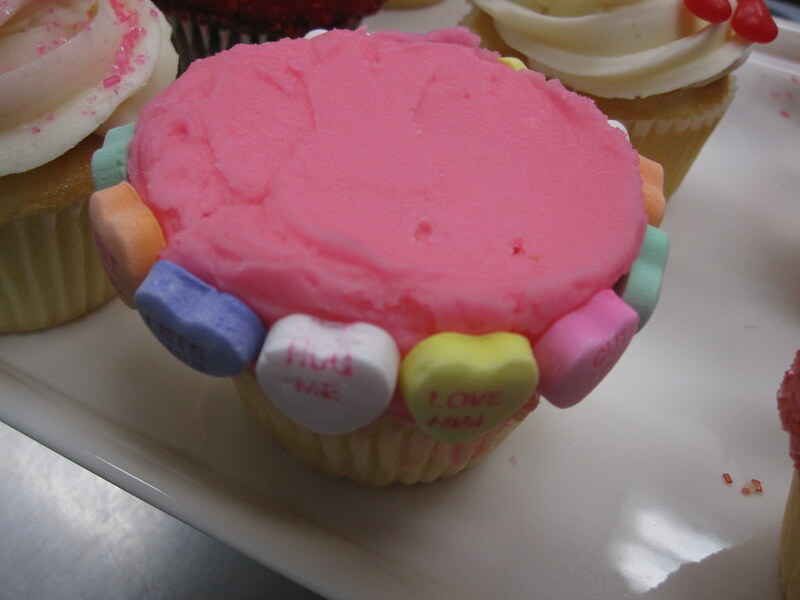 cool use of candy hearts!